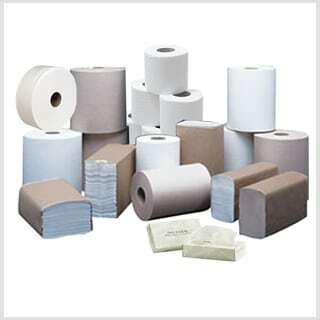 Our soft, strong, and absorbent paper towels are offered in white or natural, and come in a variety of types and sizes to better meet your facility needs. Choose either a standard or jumbo roll of one-ply or two-ply toilet tissue. Soft white facial tissues come in an easy-pull box so each tissue comes out one at a time and fewer are used. Our towels and tissue are all Green Seal Certified, so your customers will know that your company is environmentally conscientious. Our hands-free paper towel dispensers come in either manual or automatic, providing better portion control and improved facility hygiene. Every dispenser comes with a lifetime guarantee so you will never need to pay for repairs.